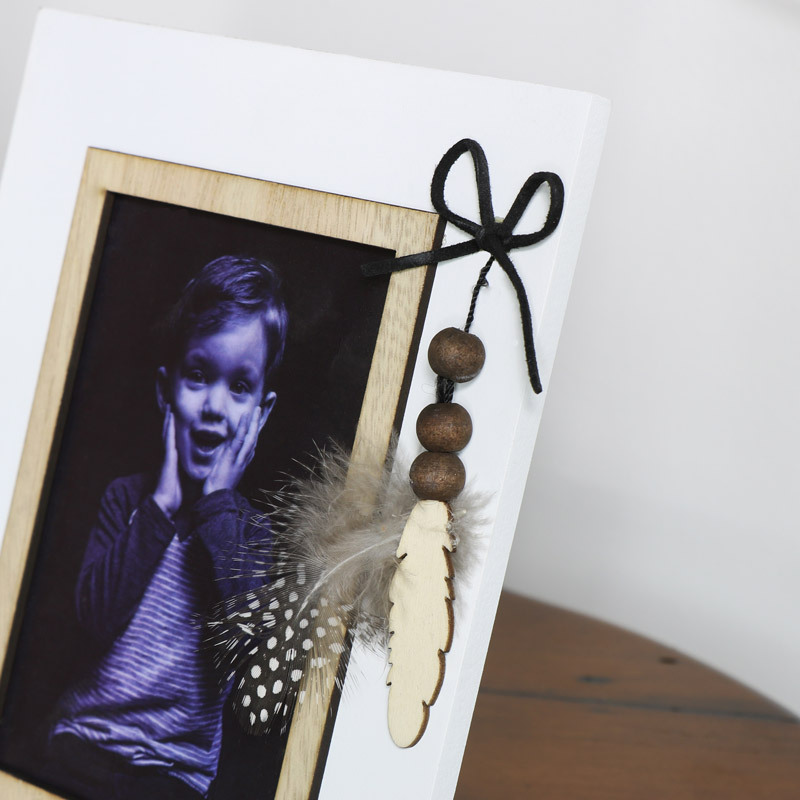 Photo frame with white surround for showing off your favourite photographs. Decorated with a pretty feather motif, this is perfect for displaying family, wedding and birthday pictures. Holds photo size 10cm x 15cm, this will make a great gift idea. Photo frame with white surround for showing off your favourite photographs. Decorated with a pretty feather motif, this is perfect for displaying family, wedding and birthday pictures. Holds photo size 10cm x 15cm, this will make a great gift idea. Wooden frame in a white painted finish with rustic inner aperture surround. 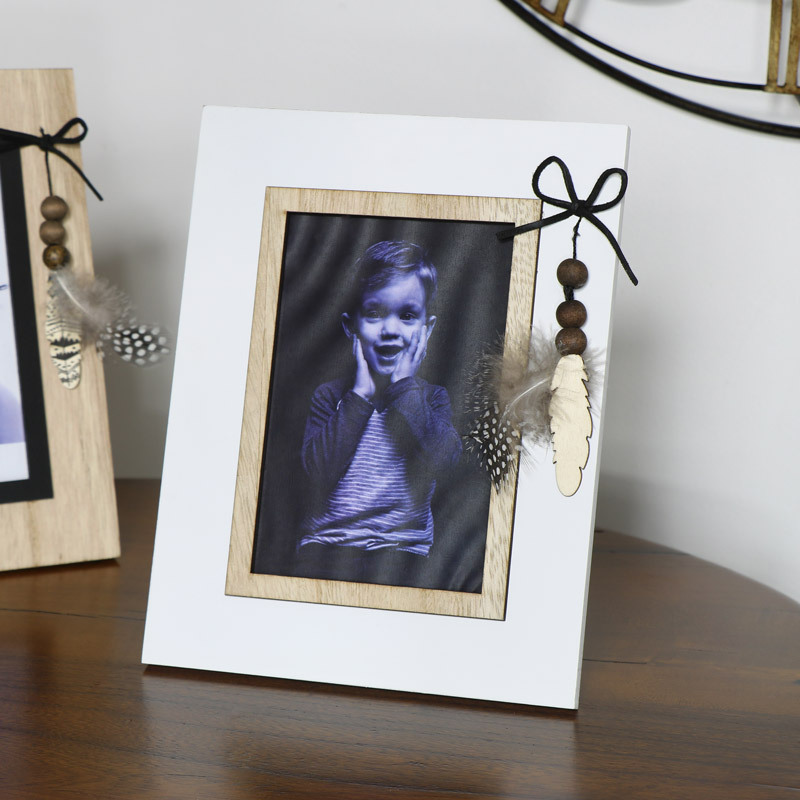 Picture frames are perfect for displaying those treasured photos and memories so make sure you browse our full collection of frames and let us help you display that treasured photograph.